with where I was not. 9th poem for April, National Poetry Month, to my left knee, which, unfortunately, is really suffering right now. Written for Susie Clevenger’s prompt on Real Toads about bracelets. This has been edited since first posting as I mistakenly used the word palimpsest for palindrome! Agh! This entry was posted on April 7, 2016 at 6:16 am and is filed under poetry, Uncategorized. You can subscribe via RSS 2.0 feed to this post's comments. You can comment below, or link to this permanent URL from your own site. I can identify with this. Lovely way to explain the pain. I hope he will, K. Some days a sore thumb is better than none, goes for him as well. This is beautifully poignant and intense..! I can’t even like it…I’m sorry, knee pain is no joke. I hope it feels better soon. I shouldn’t smile to read of physical discomfort but I loved the word play. Kerry–on reading your comment I realize I meant palindrome not palimpsest! I don’t know why your comment triggered that recognition but thanks, am fixing right now! k.
Sorry for the pain. Thankful for the poem. I would quote from the above, “Sorry for the pain. Thankful for the poem.” Hope she doesn’t mind. Enjoyed your poem very much. 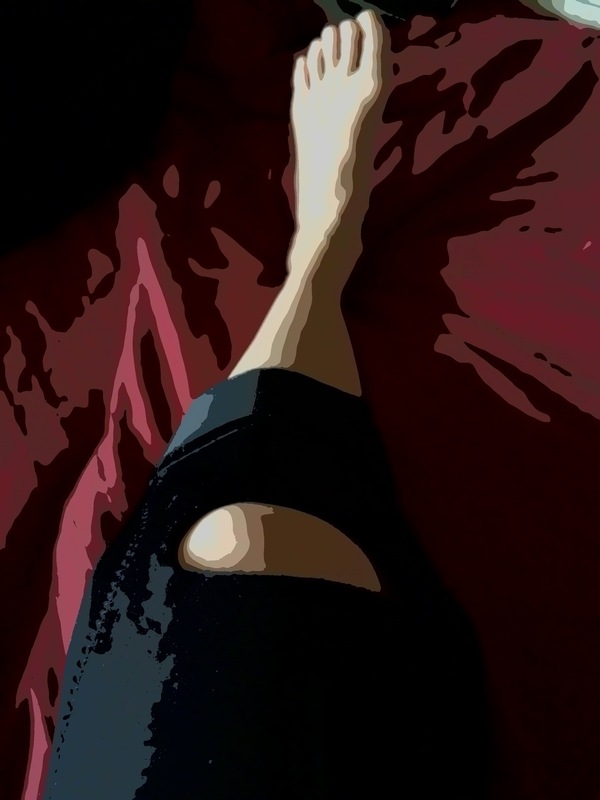 Knee pain… so bad when it hits, love how your could tongue-in-cheek-tell it though… Hope for soon recovery. Ouch! I know the feeling. I am slipping on an elastic brace each time I get on the treadmill. Hope yours feels better soon. Thanks for writing and sharing in the garden! Lol, only a fellow knee-sufferer (me) can appreciate the nuances, loved the plea to come back to this old joint. Knee pain is evil. Fortunately I’ve never had to personally endure it, but know quite a few who have. At least you have a clever poem to show for your troubles! Feel better soon. Our freedom hinges on ligaments and joints whose henges are of weaker stuff than the spirit. Oh well and be well. The true laments of age are full of this sense of surprised betrayal–all the physical machinery that we have run our lives with suddenly develops a will of its own to unwind, break down–an entropy that is painful in more ways than just the physical. The word ‘palindrome’ is genius here–I instantly related. Hope things get better soon, k–and thanks for giving us these gems while you go through the process. Oh, I feel your pain, K! I have known the longing for when the days they took you everywhere you wanted to be with ease. May the hopeful plea from your lips to His ear to return to that bliss once more be granted soon.. Sorry about your knee, but glad you got the poem out of it. I adore this! The palindrome line made me laugh out loud! Sorry, k…hope the bees knees heal and you eventually walk away from the palindrome. God bless! Thank you, Lynn. k .